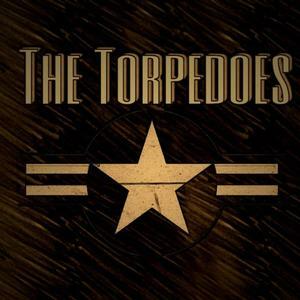 Meet The Torpedoes - a band consisting of the original musical core that formed Damn The Torpedoes, a band sponsored by Bud-Light and fronted for almost 8 years by former Stranger vocalist Greg Billings. The musicians that make up this band have been together for over 25 years and have performed literally thousands of club dates and events, spending a good bit of their first decade together traveling the east coast circuit from Key West Florida to Burlington Vermont. This rich background of experience, highlighted with many guest slots opening for nationally known artists like Blue Oyster Cult, Ted Nugent, Pat Travers, Molly Hatchet, The Kinks, Blood Sweat & Tears, The Romantics, Marshall Tucker Band, and too many more to remember, results in a finely-tuned machine, with a chemistry rarely found in even seasoned ensembles. Bass guitarist/vocalist Bret Mellies has been Franco's sideman since 1985, and the two of them work effortlessly together to anchor the rhythms of the group. A Midwesterner from Peoria Illinois, Bret has worked with many high level artists including former Outlaw Steve Grisham. On guitars and occasional vocals is Kyle Ashley who founded one of the first online song production websites in the 90s, producing individual songs and jingles for clients in many countries around the world. Some of these records received chart success in Europe including a #1 in Sweden. Kyle occasionally performs around the United States with the Miller Lite sponsored Bobby Friss Band as a replacement guitarist for the phenomenal Jerry Riggs, a role he has held for 18 years.